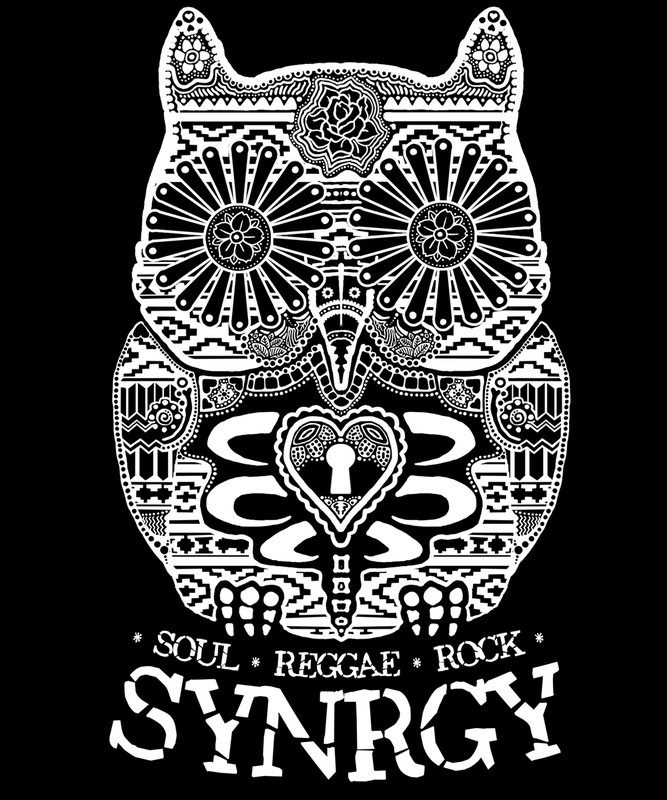 SYNRGY is a Soul Reggae Rock Group known for high energy live performances, consistently catchy tunes, and their tour heavy lifestyle. They've toured relentlessly all over the Western half of the United States, having played hundreds of shows in over 19 states. They have two Midwest tours, a Hawaii tour, and multiple West Coast tours under their belt. They've played with bands such as SOJA, Rebelution, Steel Pulse, Yellowman, Gondwana, Katchafire, The Slackers, The Expanders, HIRIE, Through The Roots, Mike Love, and countless other artists. With three full length albums (Live in Love, Synrgy Self Titled, and Dream On), two eps (Lost and Found and Summertime) , and a very anticipated album in the works, SYNRGY continues to provide their loyal audiences with a very diverse musical catalog. Their sound spans from traditional Roots Reggae to a smooth Soul Crooner's style that gives them an orginal flare while still being able to maintain the fundamentals of the Reggae music. Add some Rocksteady/ Ska-esque influence, and some contemporary tones, and you have yourself a good idea of what to expect from SYNRGY. They got roots that span from the deserts of Arizona to the hills of Humboldt. From the Oregon Forests to So Cal and Mexican Coastlines. Originating in Flagstaff AZ in 2007, the group has relocated several times. In 2008, the band moved to Humboldt County into the Redwood Country of Northern California. In 2011, they made another move up to Ashland in Southern Oregon. In 2015, the band relocated again South of the border to Rosarito Mexico where they are currently based. SYNRGY is on their way to becoming known as one of the hardest working Reggae groups on the West Coast. Their funky, infused Reggae Sound is bringing new meaning to the descript: Catchy Soulsteady Reggae. Catch them in a city near you.